Today we are welcoming Natalie Stewart, President of FHA Review to our blog. She is a local industry leader in the FHA condo approval process. FHA Condo Certification, HR 3700 and what happened to all those changes we were promised? FHA Condominium Certification has been one of the most confusing and convoluted processes to enter the CID industry in quite a long time. To add to the confusion, HUD has promised changes that have remained stagnant for almost 2 years. To refresh your memory, FHA Certification is the method used by HUD (the Department of Housing and Urban Development) to ensure that Condominium Complexes are financially stable and managed properly. HUD uses the certification process as a risk management tool to reduce the probability of foreclosures on FHA insured loans on condominiums. This “FHA Approval Process” is a detailed review of the Condominium Projects legal documents and financials, to determine overall health of the community. The certification process has made it difficult for many condo projects to qualify, which has resulted in the fewer FHA loans for condominiums nation-wide. In late 2016 HR 3700, The Housing Opportunity Through Modernization Act (HOTMA) was passed and condominium owners, community managers, realtors, and lenders were all very excited about the “changes” which would make more condo projects eligible for FHA certification. Many Real Estate professionals believe that those changes never came. This has caused a lot of frustration. However, if you read the actual language in HR 3700, the guaranteed changes were made. They just didn’t have the desired impact. The Result: HUD had already introduced the “Streamline Recertification Process”. This process was actually implemented while HR 3700 was being discussed in the legislature. The process removed the requirement to resubmit Legal Documents for existing condominium projects. This includes CCRS, Annexations, Supplemental CCRS, Amendments, Condominium Plans, Tract Maps, and in some cases the Management Agreement. HUD Condo Reviewers no longer have to perform a review of these documents and the process goes much quicker. A Streamline Certification can be completed in half the time as a Full Certification. Industry Feedback: HUD did not make it easy enough. Recertification’s still require a full financial analysis, insurance review, check of owner occupancy, delinquency rates, and other criteria. This information is still necessary and can be burdensome. The Result: HUD took no action during the 90-day period and the 35% rule came into effect. With this new rule came additional criteria, including the submission of a reserve study is now required, reserve contributions must be higher, delinquency standards are more stringent, and a member listing must be provided to substantiate the owner occupancy number. Industry Feedback: There has been little to no impact. With the additional financial requirements, many of the condo projects that could have benefitted from the lower rate are still not eligible. And overall, there is a perceived notion that owner-occupancy is a big hurdle, however most communities we review do meet the 50% requirement. The Result: HUD began to approve Condominium Associations with Transfer Fees that met the standards set forth by FNMA and FHLMC. While it is not always easy to determine which transfer fees will be accepted, since the implementation of HR 3700, we have had success in getting approvals for communities with transfer fees that meet the new criteria. Industry Feedback: This is not the fix people wanted. The language in the FNMA guidelines states that the “transfer fees that provide a direct benefit to communities would be allowed”. The operative phrase being direct benefit. Communities with Lifestyle Enhancement Fees, Educational Endowment Fees, or fees payable to Charitable Housing Foundations are still not acceptable, and therefore not eligible for FHA certification. While I often hear that HR 3700 did not do what it promised – they in fact implemented everything that was promised. It just did not have the desired impact. Adding to the confusion, a set of proposed changes was released via the Federal Register in 2016. These proposed changes have not been addressed. It is the changes in the proposed rule that would have the biggest impact. These proposed changes include a single-unit approval process, longer certification intervals, and a few additional clarifications that would help the overall process. 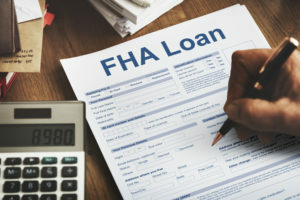 For any additional questions you may have about the FHA Certification process please visit www.FHAReview.com or give us a call 714-536-6500. In case you missed it, check out more details from the CAI National Conference! Ask the Governor to Veto SB1265 TODAY! We would love the opportunity to discuss the needs of your association and to find a new management solution that meets your budget! Current clients may access their account and make payments here. We offer online access to our clients at no additional cost. Register now to access your account, make payments, view documents and more. Need assistance? Report maintenance needs directly to your manager or contact our accounting department for any questions regarding your account. Founded in 2011, Common Interest Services, Inc. is a professional Homeowners Association management company in the greater Los Angeles area. We specialize in full service and financial management of small and large Homeowners Associations alike.